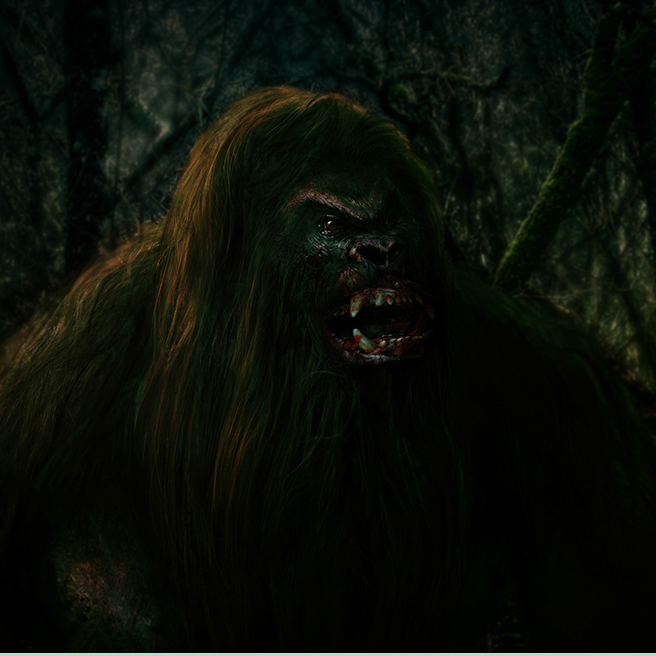 Nice how he maintains the "boogeyman" foundation for his representations. 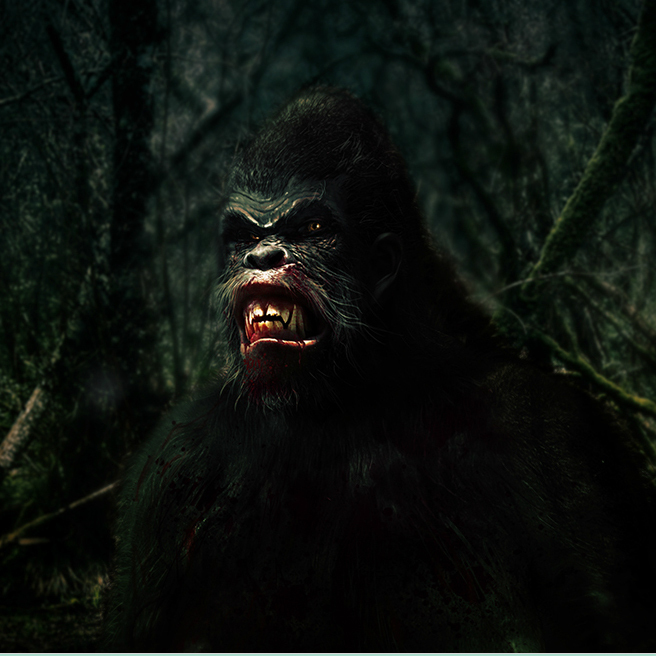 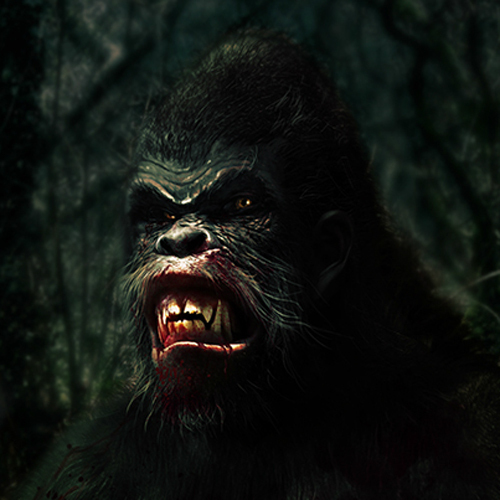 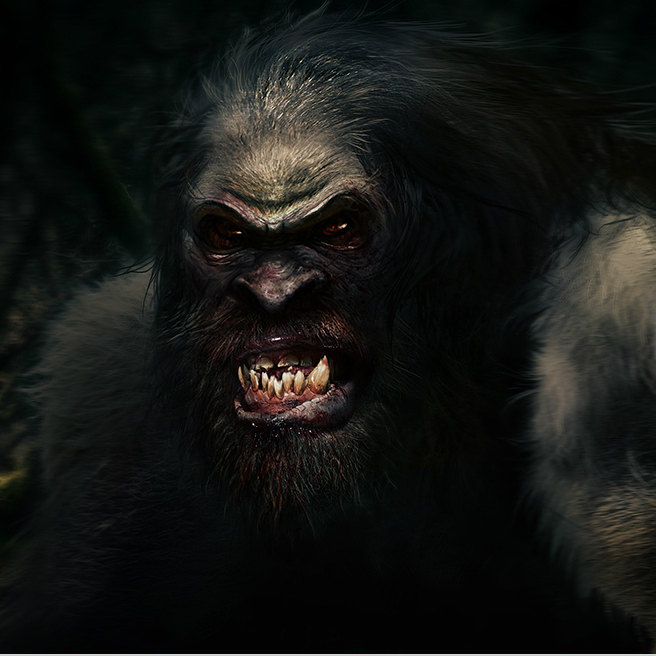 Since bigfoot is most likely an offshoot of the boogeyman mythology, he needs to have that monstrous, fang-baring, ravenous appearance. 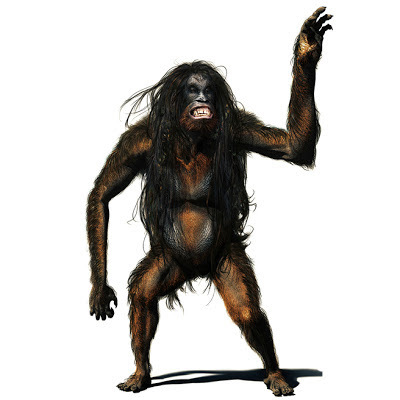 The vast majority of bigfoot lore leans heavily on this thing that goes bump in the night, in which case the bump has now become the three wood knocks, and so it is entirely proper for illustrations to have that scary look. 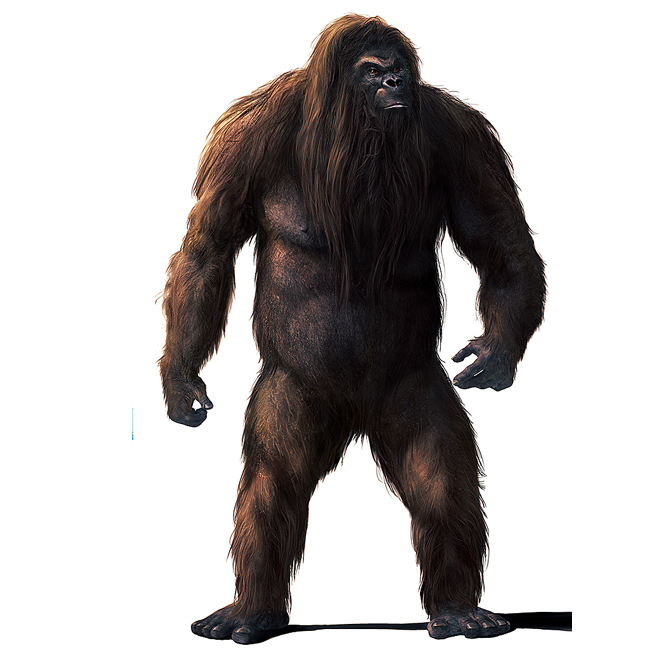 Very little of bigfoot lore leans towards the placid, scientifically palatable vision of a long lost ape or real primate.